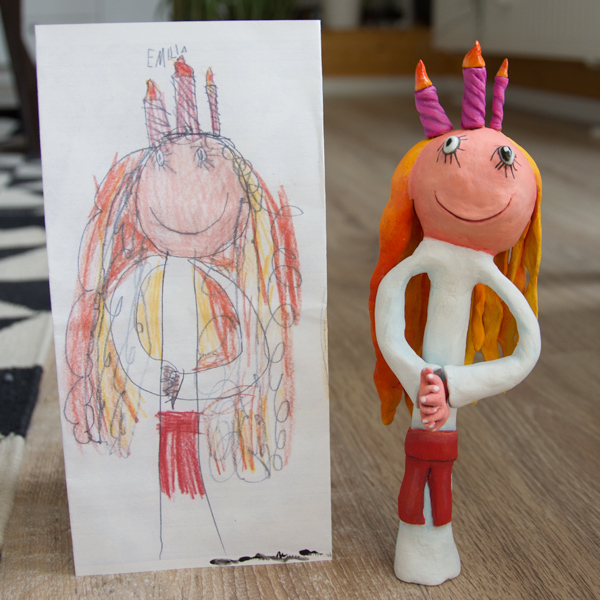 This is another figurine I made based on a child's drawing. The child in question is my niece, and I wish I could have made her hair better justice. It is crazy fun! My niece is not crazy putting burning candles on the head of herself (it is a self portrait), as she is dressed for Lucia. It is a traditional celebration the 13th of December in Sweden, you can learn more about it here below.